Her first venture into narrative filmmaking, Crystal Moselle’s docudrama Skate Kitchen tells a fictionalised story of the real-life skateboarding crew that is changing the face of skate culture. 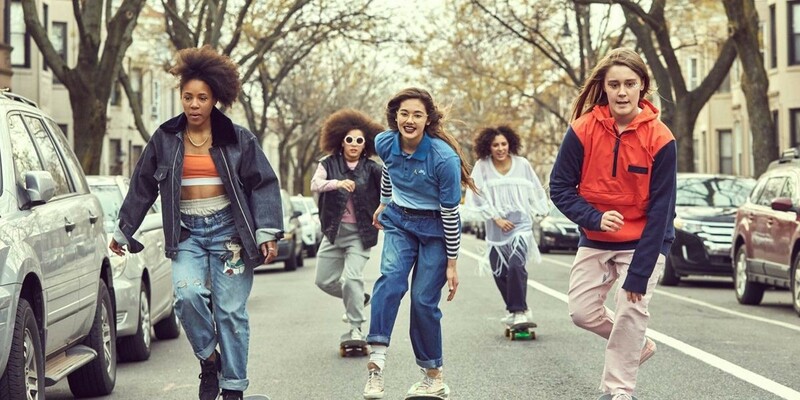 Founded by young women in New York City, The Skate Kitchen is a collective that aims to encourage girls to venture into the male-dominated and often exclusive-seeming skate scene. They are also a tight-knit group of friends, and document their relationship with each other and skating through social media. Moselle’s interest in the group began with a short film she made featuring the girls for Miu Miu. It is interesting that when making the decision to expand the project to feature length, Moselle chose to script the story instead of making another documentary. Whilst it doesn’t always work, the script is full of energy, honesty, and vulgar language, teamed with scrappy performances and a killer soundtrack that give Skate Kitchen its undeniable character. Crew co-founder Rachelle Vinberg plays Camille, a typical teenage misfit who feels smothered by her overbearing mother. After a cringe-worthy skateboarding accident that leaves her in the emergency room, Camille’s mother puts her foot down: no more skating. Of course it’s dangerous – Camille is already head-to-toe cuts and bruises – but it’s also the one thing that truly brings her joy during the long summer vacation. She follows an all-girl crew, the eponymous Skate Kitchen, online, watching their trick videos and yearning for a sense of belonging. When the crew posts details of a meet-up in Manhattan, Camille grabs her board and ventures out of the sleepy suburban confines of Long Island in search of a new identity. 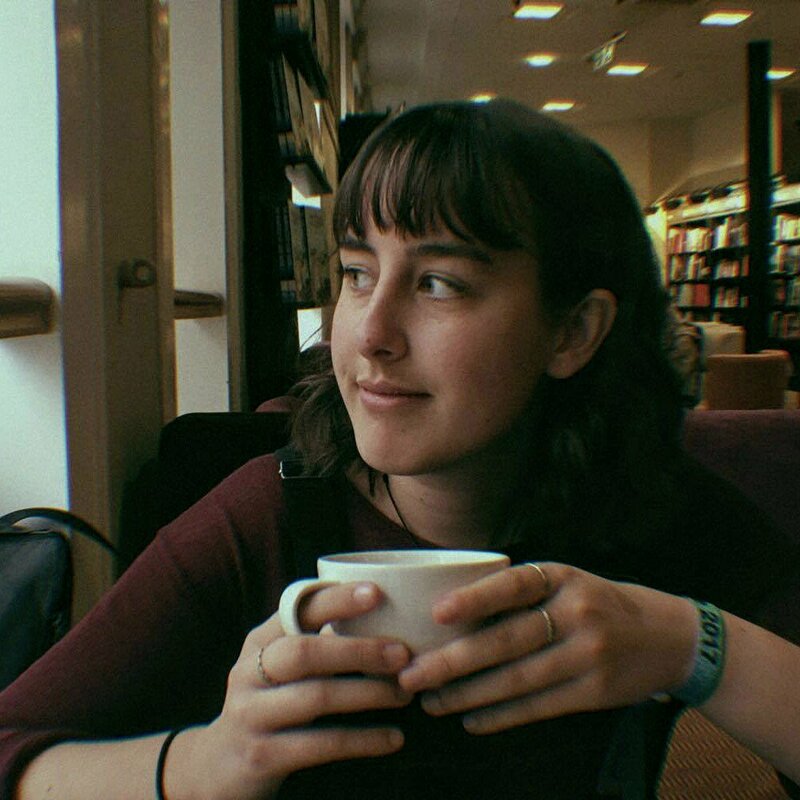 Initially confessing that she ‘doesn’t do hugs,’ and lingering awkwardly on the periphery of the group, Camille soon finds her place in the crew, though her increasing confidence ultimately usurps her. Camille’s struggle with her newfound loyalties to the crew and her interest in a boy – who also happens to be Janay’s ex – throw her position within the group into question. It’s not the most satisfying source of narrative conflict, and makes Camille far less of a sympathetic character in the last act of the film. Despite this, the ‘boy drama’ is ultimately secondary to the girls’ friendship, and the film’s real focus: the skating. Moselle’s affection for the sport is clear in the lengthy takes of the girls simply speeding down the streets late at night, the wind in their hair and an enviable freedom in the dreamy visuals. It’s quite exhilarating; perhaps one of the closest feelings to flying that the girls can grasp. The film is certainly rough around the edges, but without that it wouldn’t have half the air of life it bleeds. Where the conviction may falter in the highest moments of dramatic tension, the film’s strength lies in its moments of calm, when the girls are at their most relaxed and real with each other. The film’s depiction of female friendship is beautifully authentic; their conversations feel honest and unrestrained in the way that girls behave when they are completely and utterly trusting of each other. They voice their struggles and anxieties, from family problems to whether or not you can be killed by a tampon. Even if you can tell the girls aren’t actors by trade, their personalities are the heart and soul of the film; without them there is no Skate Kitchen, and without that there is no Skate Kitchen.